Gerald Hennessey - silver-screen star and much-loved heartthrob - never quite makes it to Temple Regis, the quaint Devonshire seaside town on the English Riviera. Murdered on the 4.30 from Paddington, the loss of this great man throws Temple Regis' community into disarray. 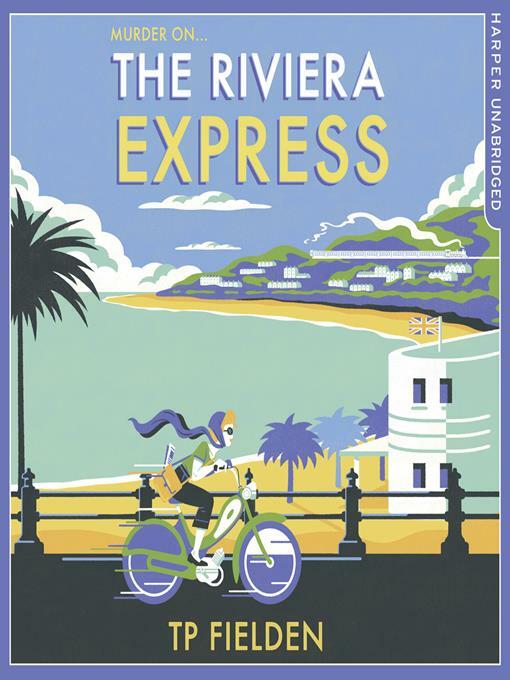 Not least Miss Judy Dimont, corkscrew-haired reporter for the local rag, The Riviera Express. Investigating Gerald's death, she's quickly called to the scene of a second murder. Setting off on her trusty moped, Herbert, she finds Arthur Shrimsley in an apparent suicide on the clifftops above the town beach. Miss Dimont must prevail, for why was a man like Gerald coming to Temple Regis anyway? And what is the connection between him and Arthur? And just how will she get the answers she wants whilst under the watchful and mocking eyes of her infamously cantankerous editor, Rudyard Rhys?